Amy is a recent graduate of Bergen Community College class of 2014 and a welcome addition to our health care team. Amy is a licensed veterinary technician with a passion for large and small animals. She enjoys riding her horse and playing with her Cavalier King Charles Spaniel, Flopsy, in her spare time! What a pleasure it is to welcome Amy to our practice. Sandra is a graduate of Mercy College and a practicing licensed veterinary technician who’s been with Animal Medical since 1996. Before joining our hospital, she trained at a four year veterinary college, completed externships at two critical care facilities and trained with board certified veterinary ophthalmologists. She has special interest in ophthalmology, critical care and anesthesia. Sandy is compassionate, attentive and extremely qualified. Always passionate about teaching, Sandy is currently one of the instructors of veterinary technology at Mercy College…but we’re still lucky enough to have her work with us one day a week. Claudia started with Animal Medical at the beginning of 2011. 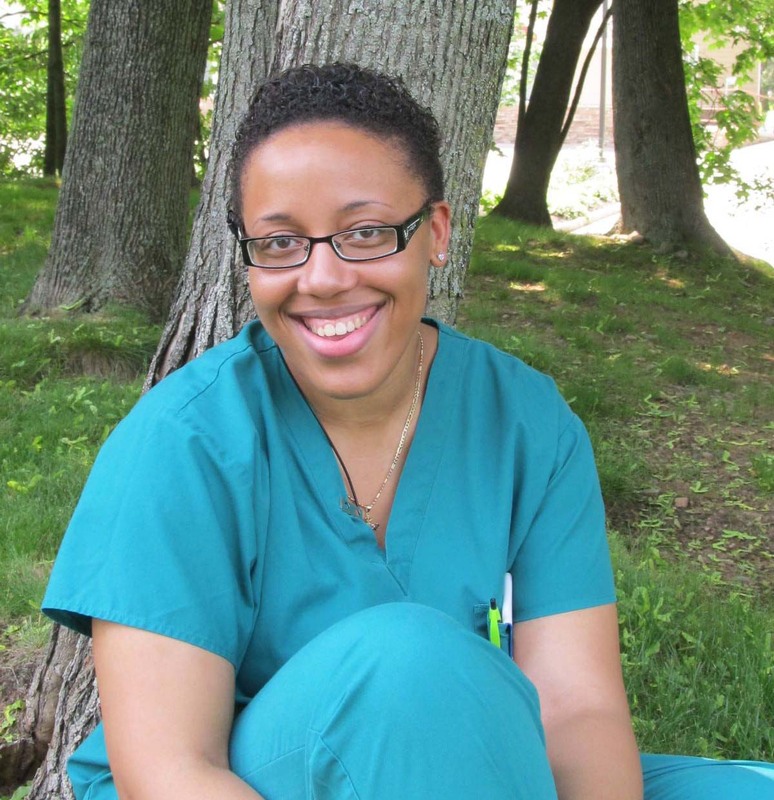 She is a licensed veterinary technician and a graduate of Mercy College. She had prior experience working in a veterinary hospital as an assistant, but is thrilled to join the ranks of professional veterinary nursing. Claudia has one pit bull, Cassius Clay, a three year old dog with lots of puppy play left in him. Claudia looks forward to expanding her role in veterinary medicine to include exotics and big cats. Make sure you check out the blogs that Claudia writes for us on how to make your own dog treats! Dani has been with AMNC since July of 2009. She is a licensed veterinary technician and a graduate of SUNY-Delhi. Prior to starting with AMNC and earning her licensure, she worked in the profession for over 16 years. She aspires to continue her career with Animal Medical and enjoys constantly learning and improving her skills. She is the proud companion to Capone and Patrick, two domestic short haired cats that she rescued from one of the animal hospitals at which she previously worked. Dani is also proud mother to daughter Ella, now 8 years old. In the little free time she has, Dani enjoys Zumba and spending time with her family and friends. 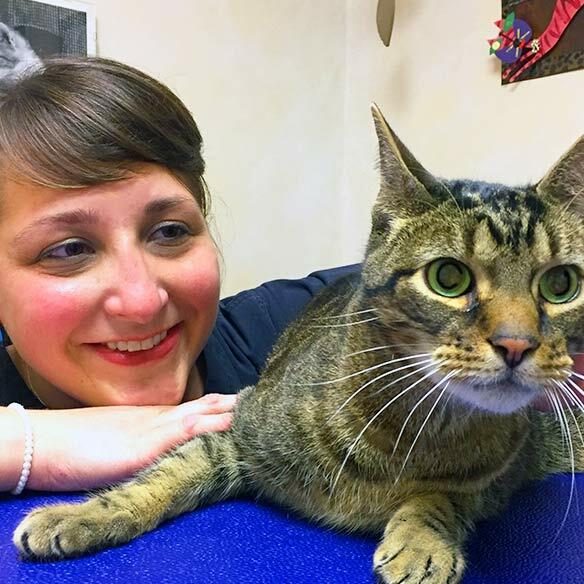 Claire enjoys customer service and participating in the excellent care we provide both people and pets. She loves to discover new things, relaxing at home, and knitting with her sassy and handsome cat named Zucker, an adopted pet she acquired through Animal Medical shortly after she came on board. Claire is the one always laughing and making jokes. She makes sure everyone enters and leaves AMNC with a warm hello and sincere ‘see you soon’! Julie has worked at Animal Medical of New City since December 2002 and is responsible for keeping our facility clean and odor free. 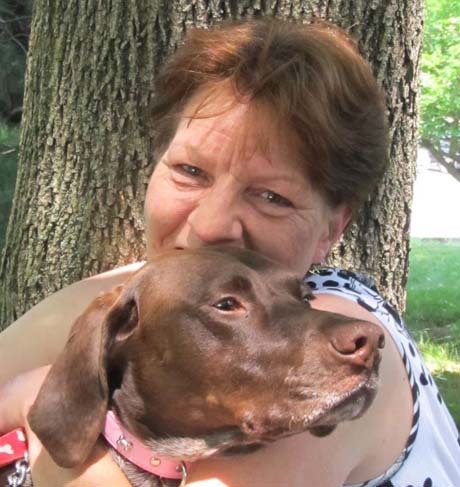 Her special love of animals made her invaluable to staff, clients and their pets. Julie has three children, six dogs, one blind cat and two birds.